Local charity The Red Hen have been supporting families in North Cambridge for 20 years and are delighted to have teamed up with the Pentacle Club in its 100th year. To celebrate, The Pentacle Club will be performing their Magic Extravaganza show at The Guildhall. The club will be wowing crowds with spellbinding miracles, stage illusions, close up magic, comedy and pulse-quickening DANGER! The show is suitable for all, family-friendly and features many different styles of magic and illusion. As well as the magic on stage, there will be strolling magicians to entertain and amaze on arrival and during the interval with magic right under your nose. Performers include professional magicians, and members of the world-famous Magic Circle. This includes the charismatic Dr Bondini, plus JezO with his high-energy interactive comedy magic. They are joined by Chris Kostecki and Will Bearcroft. 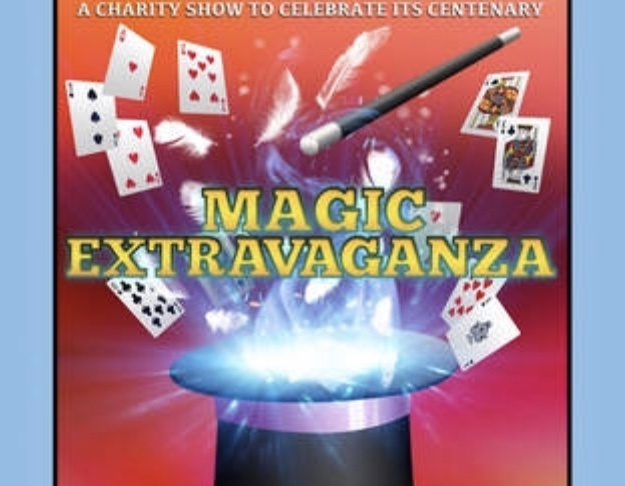 Magic Extravaganza at the Guildhall, Cambridge, 2.30pm Sunday 24 February. Tickets are available from Cambridge Live via their website, www.cambridgelivetrust.co.uk , or the box office on 01223 357851. Tickets will also be available on the door from 1pm on the day of the show (if not sold out in advance). The event runs from 2:30am to 2:30pm on the following dates.